by Jessica Huseman for ProPublica. Vice President Mike Pence's office has confirmed the White House commission on voter fraud intends to run the state voter rolls it has requested against federal databases to check for potential fraudulent registration. Experts say the plan is certain to produce thousands of false positives that could distort the understanding of the potential for fraud, especially given the limited data states have agreed to turn over. 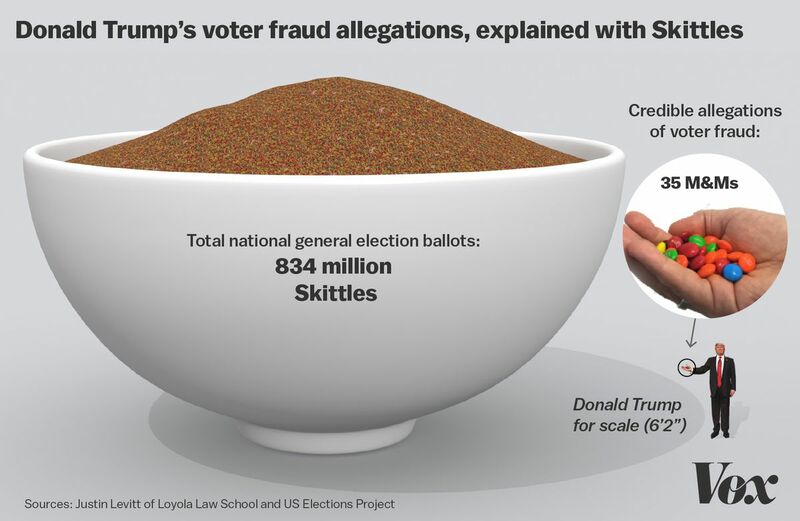 "This just demonstrates remarkable naivety on how this voter data can be used," said David Becker, the executive director of the Center for Election Innovation & Research. "There's absolutely no way that incomplete data from some states — mainly consisting of names and addresses — can be used to determine anything." The commission's vice chair, Kansas Secretary of State Kris Kobach, sent a letter to states last week requesting detailed information on voters. The request asked for information such as Social Security numbers and military status most states cannot legally make available. But most states will be handing over information that is public, such as names, years of birth and whether they've voted in previous elections. While Lotter would not say specifically which databases the rolls would be run against, The Washington Times reported last week the commission may seek to check the names against the federal government's database of non-citizens. A 2012 attempt by Florida to do that resulted in many legitimate voters being falsely flagged because they had the same names as people in the federal database. Gov. Rick Scott scrapped the effort and eventually apologized. "How many Manuel Rodríguezes born in 1945 who are citizens are going to be on an immigration list? There are likely to be several," said Charles Stewart, a professor at MIT and expert in election administration. "How will you know if he's the immigrant, or he is one of the several people with that name who are citizens and legally registered?" Kobach runs a matching program that appears to have its own high rate of errors. A recent study by political scientists at Stanford University found that Kobach's Interstate Voter Registration Crosscheck Program had 200 false positives for every actual double registration. The Kansas secretary of state's office did not immediately return a call for comment on the program. Other systems already exist that do rigorous matching. The Electronic Registration Information Center, or ERIC, is a voluntary, paid system operated by a nonprofit and used by 20 states and the District of Columbia. The system uses far more information than states are able to make publicly available, such as driver's license numbers, Social Security numbers and even email addresses. Becker, who helped create ERIC, said it took years of work to ensure careful matches. The speed at which Kobach and Pence sought information from states, which were given two weeks to hand over their voter rolls, and their plan for the limited amount of information they'll receive "demonstrates a remarkable ignorance of the process," said Becker. Lotter, Pence's spokesman, said that even if false matches were made they'd do no harm since the commission can't remove names from states' voter rolls. He said the commission is simply going to provide recommendations and highlight any common problems that might come up in the matching process. "I would be surprised if they could find a way to improve upon the methods already in place from the consortiums that already exists," Merrill said. "Every time you remove a mechanism that more positively identifies a voter, it increases the opportunity for a false positive to match." President Trump created the commission after making unsupported claims that there were millions of illegal votes cast in the 2016 presidential election. Kobach, the commission's public face, has long asserted without evidence that voter fraud is widespread. Despite numerous academic studies to the contrary, Kobach has claimed that non-citizens regularly vote, that people vote twice with frequency and has backed Trump's claims of illegal voting last year. Kobach, along with other members of the commission, has also supported restrictions on voter registration, including strict voter ID laws. Lotter said the bipartisan nature of the commission — currently four of the 10 announced commissioners are Democrats — should assuage any concerns from critics. The four Democrats include Maine's secretary of state, Matthew Dunlap, whose state has declined to provide the information the commission requested in Kobach's letter. Dale Ho, the director of the ACLU's Voting Rights Project, disputed Lotter's claims of neutrality. "It's up is down and black is white," he said. "The idea that people who have made repeated public statements that they believe, contrary to all evidence, that there is massive fraud are not biased is ludicrous."